Bill Angrick co-founded Liquidity Services on the belief that there is a better way forward in the $150 billion reverse supply chain industry. In 1999, already experienced in turning surplus from a burden to a value-added opportunity, he observed a larger opportunity for the environment, businesses and government to safely and reliably create liquidity for used, idle and unwanted assets. He envisioned a more efficient and transparent marketplace platform that wasn’t local or even regional, but truly global—where a client’s goods could be efficiently managed and sold for maximum recovery to and from any location worldwide. To that vision, he dedicated himself to creating a company that would provide better service, scale, and results—and Liquidity Services was born. 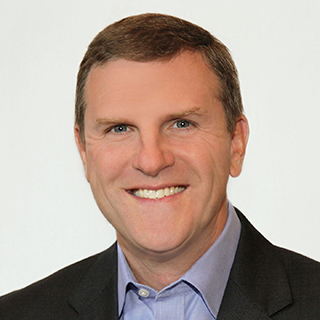 Named a Top Performing CEO by the Washington Business Journal, Bill has served as Chairman of the Board and Chief Executive Officer since January 2000. Prior to co-founding Liquidity Services, he served as a vice president of Deutsche Banc Alex. Brown's Consumer and Business Services Investment Banking Group, where he provided strategic advice to rapidly growing companies involved in the business services, e-commerce, and direct marketing sectors in the U.S. and abroad. Bill has appeared on ABC’s World News Tonight with Charles Gibson, National Public Radio, CNN, CNNfn, Fox News, and eBay Radio. His insights have been quoted in leading newspapers across the country, including The Wall Street Journal, The Washington Post, Investor’s Business Daily, The Christian Science Monitor, BusinessWeek, Associated Press, and The Washington Times. The solutions provided by Liquidity Services have been recognized with inclusion in Forbes Fastest-Growing Tech Companies, Washington Business Journal’s Fastest Growing Companies, Forbes Best Small-Cap Companies, InformationWeek 500, and Fortune 100 Fastest Growing Companies. The Company has also received the Defense Logistics Agency’s Vendor Excellence Award and was recognized as an Honors Laureate for Sustainability by Computerworld. Bill holds a master’s degree in business administration from the Kellogg Graduate School of Management at Northwestern University and a bachelor’s degree in business administration with honors from the University of Notre Dame. Bill earned his CPA certificate in 1990. He also serves on the Mendoza College of Business Advisory Council at the University of Notre Dame and on the Board Executive Committee of Big Brothers Big Sisters of the National Capital Region. Jorge Celaya serves as Executive Vice President and Chief Financial Officer for Liquidity Services where he plays a key role in leading the Company’s ongoing transformation and growth initiatives. Jorge has more than 25 years of experience in capital markets, financial accounting, operations and strategic transformation with global, publicly held companies in diverse industries. Prior to joining Liquidity Services, he co-founded Avanz Capital, an independent investment firm focused on private equity investing across emerging markets. Prior to that, he was Executive Vice President and Chief Financial Officer for both FTI Consulting, a global provider of business restructuring, financial consulting, and e-discovery software and services, and Sitel Corporation, a global provider of business process outsourcing services. He has also held various corporate and operating group positions with Schlumberger, working across its multiple industry sectors, domestically and internationally. Jorge holds a bachelor’s and master’s degree in business from the University of Texas at Austin. James M. Rallo serves as the President, Retail Supply Chain Group and Capital Assets Group which helps hundreds of the world’s top retailers and consumer OEMs unlock strategic value in their reverse supply chain, enhancing brand protection for clients. His Retail Supply Chain Group team supports strategic supply chain initiatives which significantly drive recovery on surplus and overstock inventory through comprehensive and scalable multi-channel solutions. Prior to joining the Company, Jim served as Chief Financial Officer and Treasurer of Sleep Services of America, Inc. He also served as Vice President of Deutsche Bank Alex. Brown's Healthcare Investment Banking Group. Jim was recognized with top honors from the Tech Council of Maryland as CFO of the Year in 2013 and by the Northern Virginia Technology Council with the Public Company CFO of the Year Award for Outstanding Achievement in 2009. Jim is a CPA and serves as a founding member on the University of Virginia’s Darden School of Business Strategic CFO Roundtable. 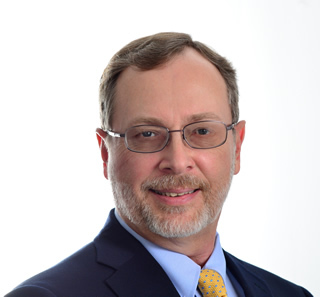 Roger Gravley serves as Chief Information Officer and President, GovDeals for Liquidity Services. In this role, Roger partners with the Company’s leadership team to improve and optimize the Company’s technology platforms, operations, and services in support of customer satisfaction and long-term growth. Roger also leads the implementation of our LiquidityOne e-commerce platform, ERP system upgrade, and new returns management and self-service offerings to solve customer needs. In his role as President of GovDeals, Roger leads and manages the GovDeals and AuctionDeals organizations to deliver exceptional results while providing incomparable customer service to clients and buyers. As one of the original founders and board members of GovDeals, Roger formally joined Liquidity Services following GovDeals’ acquisition as VP of Client Services, GovDeals, where his leadership efforts helped to double the number of clients served. In 2011, Roger added oversight of the GovDeals Marketing team to his management portfolio. In 2014, he was appointed as head of the business and has delivered exceptional growth, driven operation efficiency, and has developed and mentored the supporting team. Roger brings to this role nearly 40 years of software development, database engineering, and project management expertise. Prior to joining Liquidity Services, Roger was an original founder of GovDeals and has led the growth of that business since 2014, including the improvement of IT systems to support seller and buyer marketing automation, user interface, and integration efforts with the rest of the company. Roger has also served as the VP of Professional Services at Information Management Specialists, where he also served on its board of directors. Roger has had a long and distinguished career in a number of large scale IT management roles with leading companies, including Unisys, Litton Computer Services, and Harris Data Systems, where he applied skills in project management as well as database engineering. Roger also served ten years in the U.S. Air Force as a linguist and computer programmer prior to commencing his career in the private sector. He has completed coursework in Math at USC-California and in Computer Science at Troy University in Montgomery, Alabama. Mike Lutz serves as the Vice President of Human Resources for Liquidity Services, Inc. With strategic management experience across all HR function areas, he leads the department supporting the talented, global workforce for the market leader in the reverse supply chain. Liquidity Services is transforming the $100 billion reverse supply chain market, leveraging value for buyers and sellers through comprehensive solutions and trusted online marketplaces. It takes the right people, in the right jobs, at the right time, to support a comprehensive service offering for the top organizations in the world. In addition to guiding the global HR team, Mike partners with executive leadership to drive HR strategy, leadership and professional development, recruitment, compensation planning, and analysis, as well as integration of HR best practices across the existing enterprise and newly acquired companies. Mike brings wisdom and a keen instinct for executive coaching to his leadership of the Company’s HR department and strategy. He has been a Human Capital professional for nearly 30 years with extensive experience in deploying effective HR strategies within large, multi-national corporations across North America, Asia, Europe, and South America. He started out working in Labor Relations for Holiday Inn and his career has included both large firms - including Corning, Sara Lee Corporation, Coach, and AT&T/Lucent/Avaya - as well as mid-sized companies. Mike has also served as the senior human resources leader for Kulicke and Soffa Industries (NASDAQ:KLIC), a global semiconductor equipment company, and D&M Holdings, a consumer electronics company. He holds a master’s degree in Industrial Relations (MSILR) from Rutgers University’s School of Management and Labor Relations. Mike is also a member of the Senior Human Resources Executive Forum and actively volunteers in his community. 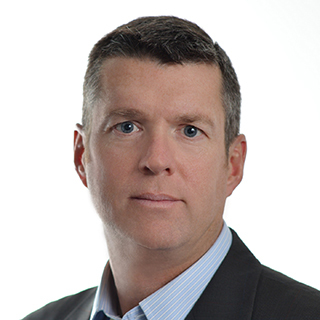 Mark Shaffer serves as VP, General Counsel and Corporate Secretary at Liquidity Services. In this role, he is responsible for all legal, commercial contracts, compliance and corporate secretary functions of Liquidity Services and its subsidiaries. Mark has previously served as Senior Associate General Counsel and Assistant General Counsel, contributing to the Company’s market leadership by enhancing the legal, compliance and risk management processes required to help grow the Company’s business. Prior to joining Liquidity Services, Mark served as Senior Counsel and Global Compliance Officer for Barnes Group, an international industrial and aerospace manufacturer and service provider. Prior to that, he served as Senior Counsel at the law firm of Miller Canfield where he focused on industrial and automotive mergers and acquisitions and commercial negotiations. Mark also served as Senior Counsel for Kmart Corporation and as an associate at the law firms of LeBoeuf, Lamb, Greene & MacRae and Latham & Watkins. Mark holds a bachelor’s degree in foreign service and a doctor of law degree from Georgetown University.